Progress can be so incremental that you hardly notice it, or it can be a big leap that everyone can see. In both cases, the progress made can be equally rewarding. Bike Cleveland’s growth and progress is much like this. Each bit of growth, thanks to your support, represents what we aim to achieve every day: more people riding, riding confidently, and doing so on streets that are safer through our advocacy. You, and our 1,100+ network of members, give Bike Cleveland the power we need to make changes, big and small. Thank you for supporting us. 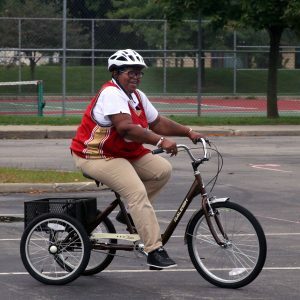 Stories like this define our work and are one of the primary reasons that Bike Cleveland’s staff, board, members and volunteers advocate every day for a stress-free, connected bike network. It’s why we need your support to elevate our work in 2019. 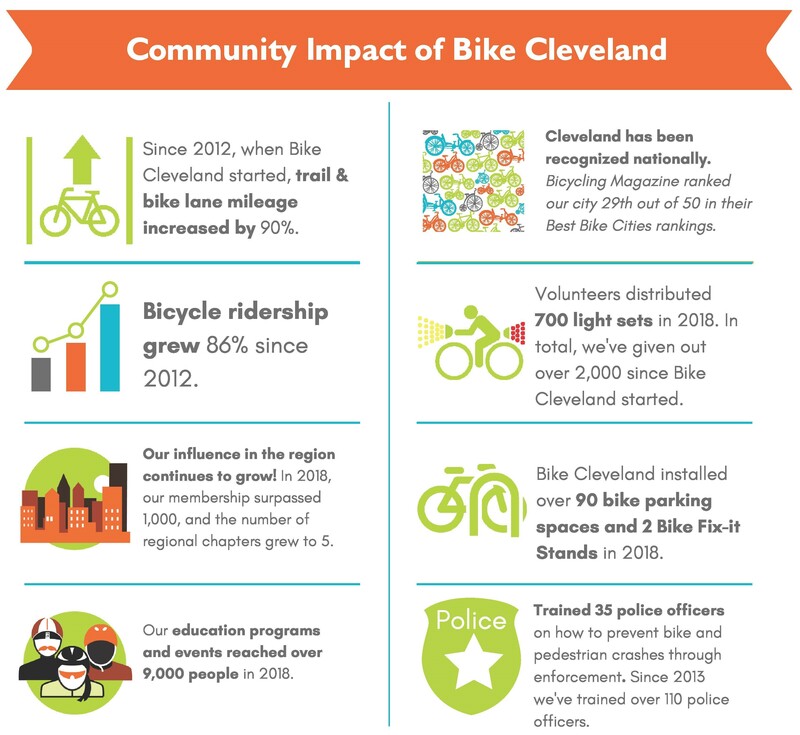 It’s also why we are asking you to make an investment in the mission of Bike Cleveland today. The big leaps are easier to see. Cleveland, a city that in the past rarely made lists for cycling, was ranked 29 out of the 50 Best Cycling Cities by Bicycling Magazine. 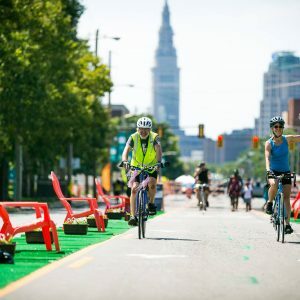 And People for Bikes ranked Cleveland 14th in their Places for Bikes City Rankings, noting our acceleration in building a bike culture and connecting Cleveland’s bike facility network. How did Cleveland make leaps like this so fast? Progress like this has come from a consistent, intelligent approach of advocacy efforts and programs that serve a broad range of the public. 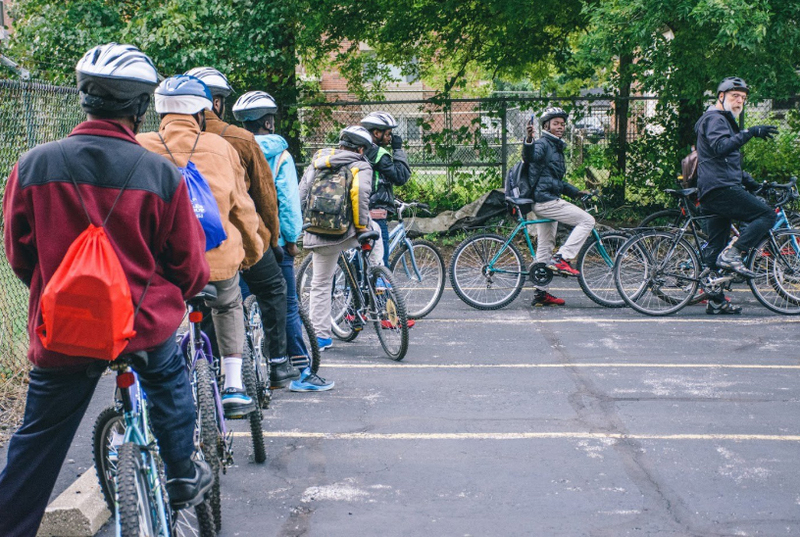 This year, we expanded our education programs to serve refugees using bikes as transportation, seniors looking to reconnect with the joys of riding, and people impacted by homelessness who can use bicycles to expand their travel range and access resources throughout the city. 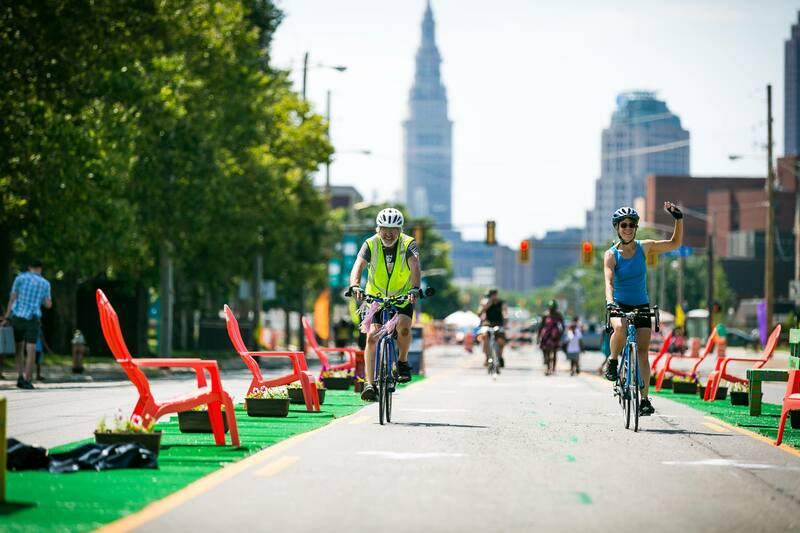 Additionally, we never cease in our efforts to fill public meetings with advocates and experienced riders that help keep the voice of cyclists in the mix – and hold leaders accountable for their promises to make Cleveland a place where bicycle travel is safe, convenient, and fun. 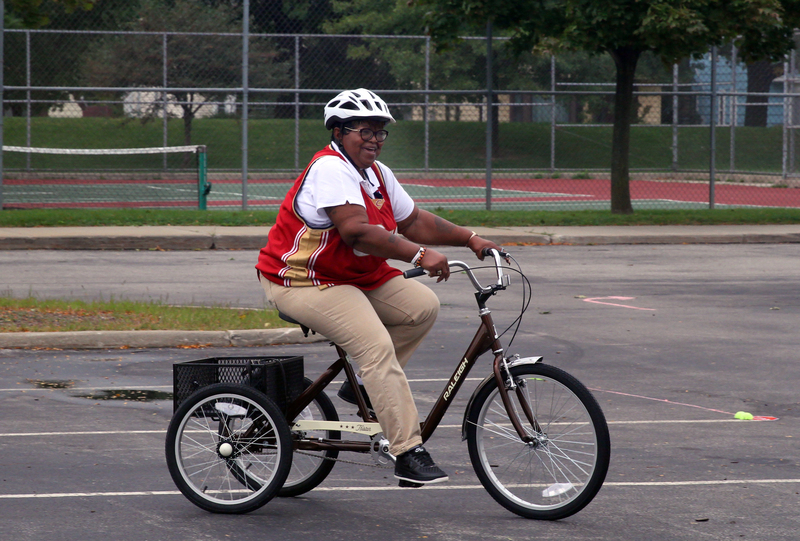 We won’t quit until there is a low-stress network throughout the city that lets riders of all ages and abilities move safely from place to place by bicycle. 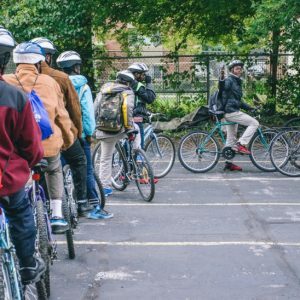 Help us continue to build inclusive programs and grow our powerful advocacy network for safe streets by making a donation to Bike Cleveland today so that we can start 2019 stronger than ever. Our vision is ambitious, and we will not be deterred from our desire to guide Cleveland into a new era of sustainable transportation. You can help. 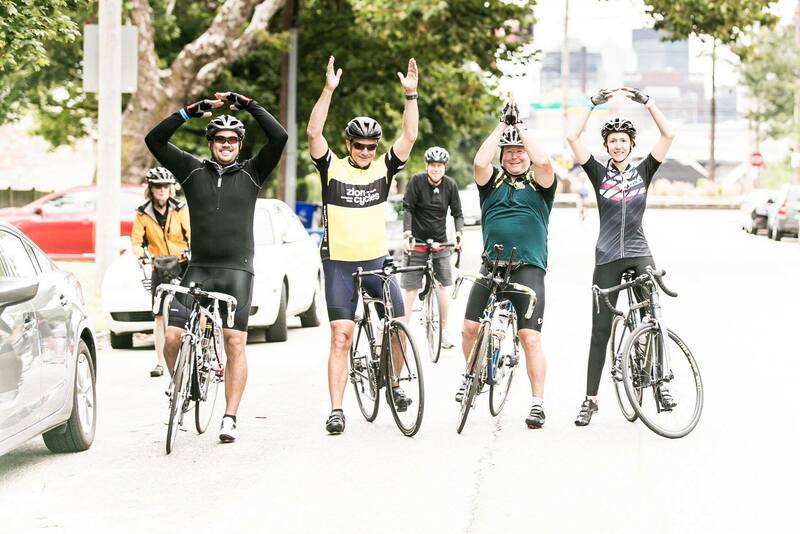 Be a part of our collective vision by supporting our work for safe streets. Make a tax deductible donation today and we’ll put it to work tomorrow.